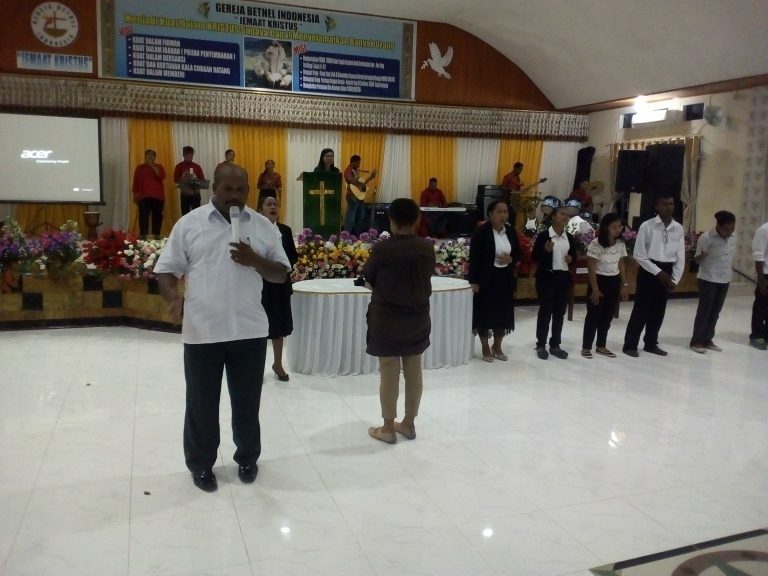 On April 30th, 2017, there was KPPI (Praise and Divine Healing Service) in the village of Sowi Arfai, Manokwari, West Papua cooperated with GBI Jemaat Kristus pastored by Rev. Markus Mirino. 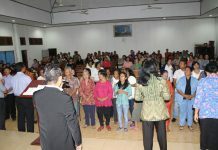 Worship was began at 6.30 PM (Eastern Indonesian Time) where the worship leader invited each congregation to praise and worship God with joy. 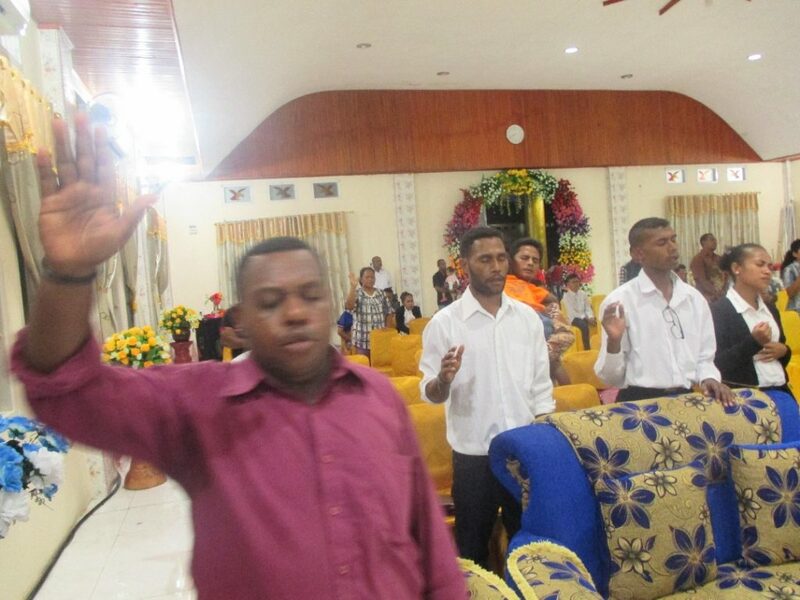 The congregations praised God with all their hearts. Followed then by airing a film of healing testimony. God’s Word was delivered by Rev. Jemima Dina, from Jakarta KPPI team, who read the verses from Matthew 15: 21-28 on Canaanite woman who came to the Lord Jesus by faith. Although this woman was not counted because she was not Jewish, but she still believed and did not become disappointed. This woman kept entreating to the Lord Jesus, and the Lord Jesus saw the faith of this woman. So with us, if we have problems or sickness, come to God by faith. Then God will see our faith and answer all our needs. Thus the Word of God was delivered. 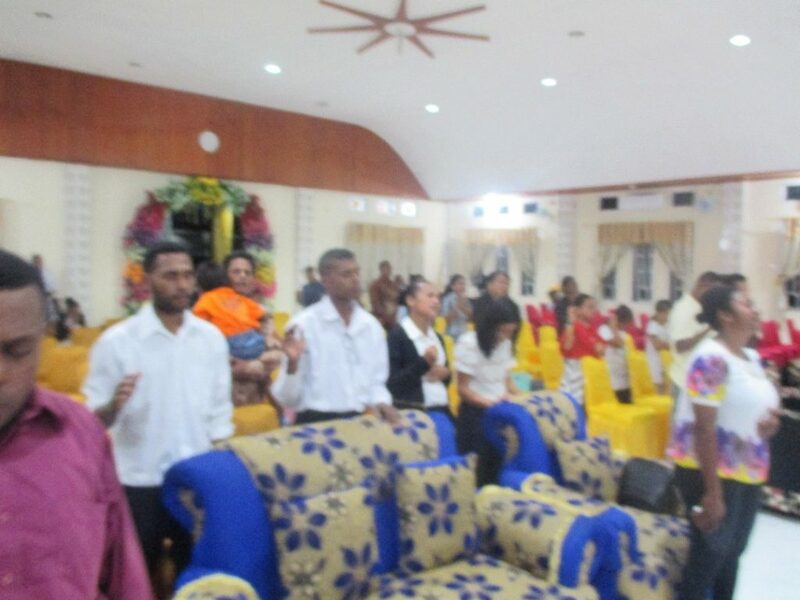 When the servant of God invited the congregations to trust in the Lord, then almost all the present congregations would truly believe in the Lord Jesus as their Lord and Savior. Thank God! Afterwards, during the healing prayer, Rev. Markus Mirino came forward to pray for the sick congregations. 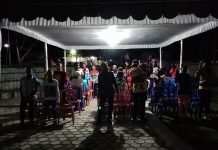 That evening all of them rejoiced to see what God did in the midst of His beloved people in Sowi Arfai Village, Manokwari, West Papua. All glory is only for God!